Ever dreamt of having moon near you or going on moon? 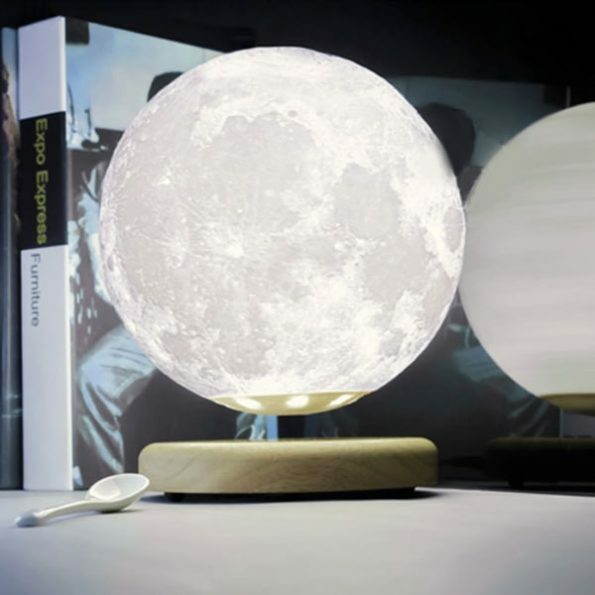 Well this Levitating Moon Lamp helps you make your dream a little bit realistic and puts a new spin on mood lighting. It is an awesome 3D printed moon shaped light that hovers and rotates over a rounded wood base. This LED lunar light perfect to fit anywhere and makes the atmosphere live by its 3D printing technology and a seamless it has got wireless charging base with touch control on/off switch.